There's a saying around the town of Hot Water, California: "Wilder women don't wed." When the town was founded, the Wilders ran the local house of ill repute...nowadays they're still known for their naughty ways. But Kitty Wilder has decided that it's time for all that to change! Kitty Wilder longed for a little respectability, so eight years ago she finagled an "I do" out of local hero Dylan Matthews. The ceremony was only supposed to be a tourist attraction sham, but a loophole made it legal ... a little fact she'd "conveniently" neglected to share until Dylan came storming back into her life. 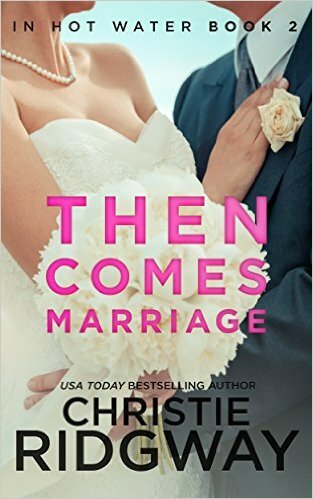 Honor Witherspoon suddenly found herself up to her neck in the most delicious trouble she'd ever been in: Marriage! After she was rescued from a harrowing kidnapping, Honor's billionaire father decreed she'd be completely safe in the hands of Bram Bennett -- small-town, high-tech security genius. Now, with her globe-trotting days behind her, Honor must settle into a quieter life in Hot Water, California -- married (technically) to a disarmingly attractive stranger who seldom ventures beyond his fortress walls. Well, this is one situation -- and one man -- that could definitely use some shaking up ... and Honor's just the one to do it! To Bram, Honor only reminds him of the happiness he's lost. But he promised to marry her, and Bram is a man who believes in keeping his promises. He longs to be left alone with his memories, but is that possible once this tantalizing intruder has breached his tight security? And now that she's inside his house, what will keep her out of his heart?